The Brazil meeting, the Netmundial, has succeeded in producing an outcome document that commands international legitimacy. Among governments, only Russia, Cuba and India explicitly distanced themselves from the outcome. Given the speed with which the process was put together and the need for process innovations to aggregate the comments of hundreds of people and make appropriate modifications to the document, we should be impressed with this accomplishment. The most significant content in the Netmundial Multistakeholder Statement is its indirect (and sometimes direct) repudiation of the World Summit on the Information Society (WSIS) Tunis Agenda. We are now in a post-WSIS world, an Internet governance arena that explicitly endorses a form of multistakeholder governance in which non state actors have rough parity with state actors. Indeed, while some civil society actors were disappointed with and somewhat petulant about last minute language modifications related to issues like net neutrality, intermediary liability and surveillance, these criticisms missed the point. The essential debate we were having was not about specific policy issues (which anyway are mostly handled at the national level) but about the overall approach to global Internet governance, the nature of the ‘ecosystem’ itself. Internet governance should be built on democratic, multistakeholder processes, ensuring the meaningful and accountable participation of all stakeholders, including governments, the private sector, civil society, the technical community, the academic community and the users. The international management of the Internet should be multilateral, transparent and democratic, with the full involvement of governments, the private sector, civil society and international organizations. The respective roles and responsibilities of stakeholders should be interpreted in a flexible manner with reference to the issue under discussion. The development of international Internet-related public policies and Internet governance arrangements should enable the full and balanced participation of all stakeholders from around the globe, and made by consensus to the extent possible. 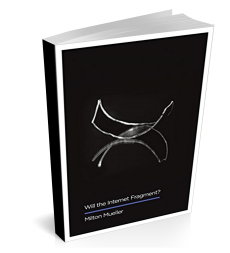 … Anyone affected by an Internet governance process should be able to participate in that process. …. Internet Governance should be carried out through a distributed, decentralized and multistakeholder ecosystem. Enhanced cooperation as referred to in the Tunis Agenda to address international public policy issues pertaining to the Internet must be implemented on a priority and consensual basis. Taking into consideration the efforts of the CSTD working group on enhanced cooperation, it is important that all stakeholders commit to advancing this discussion in a multistakeholder fashion. When it comes to specific policy issues, as noted before, the Netmundial statement is not so impressive – it is full of exhortatory language that assigns rights and benefits with absolutely no regard to how they will be achieved, and its stance on controversial policies often contains weasel words that provided objectors with an escape clause. It is desirable to discuss the adequate relation between the policy and operational aspects. “Mass and arbitrary surveillance undermines trust in the Internet and trust in the Internet governance ecosystem. …insertion of the word “arbitrary” provided the escape clause for the US, UK and other furtive defenders of surveillance, because they can and do claim that what they do is targeted and not arbitrary. Still, the Netmundial document significantly changes the tone of the global conversation on Internet governance, consolidating the gains associated with the more open participation of non-state actors. It also proved that a relatively open process could produce an agreed outcome document – a lesson that we hope the UN Internet Governance Forum will learn something from. The language change is advantageous to the multistakeholder model and non-state actors generally, but also to the US and advances US interests. Non-state actors which now have quasi sovereignty are much more likely to side with the US than Russia or China who would prefer such organizations not have a voice at all. In essence, the multistakeholder process enables the US to expand the diplomatic playing field and populate it with players who are sometimes troublesome but generally reliable about siding with the US on a variety of issues including access, openness, and free speech. The Netmundial statement strengthens the hand of non-state actors and the US at the expense of those states which jealously guard their sovereignty. Non-state actors might be allowed at the table, but as the rest of the outcomes clearly demonstrate, they are clearly not equals in terms of diplomatic skill. For states, internet governance is the “Great Game” of the 21st century and a diplomatic one at that. Non-state actors will need to hone their diplomatic skills swiftly if they hope to hold their own at the table in the future. Since NETmundial was an informal meeting, it cannot possibly override the WSIS outcomes, which were formal declarations of Heads of States. And I doubt that any of the government representatives at NETmundial had a mandate to contradict a formal declaration of their Head of State. Be that as it may, the NETmundial language does not actually contradict the WSIS language. It refines it and suggests that some rethinking may be required, and that is normal because the Tunis Agenda was agreed more than 10 years ago. Democracy in this context must be understood as the right for everyone to take part in the conduct of public affairs, directly or through freely chosen representatives (paraphrasing Article 21 of the Universal Declaration of Human Rights and Article 25 of the International Covenant on Civil and Political Rights). The expression “respective roles and responsibilities” is clearly a reference to paragraph 35 of the Tunis Agenda. You seem to think that it would be good if non-state actors had parity in decision-making for all issues. But non-state actors include private companies. Do you really want to give veto power to private companies for all issues? As you know, net neutrality regulations (to take just one example) have been opposed by some private companies and have been enacted only when national parliaments (and the European parliament) acted despite opposition from private companies. So be careful of what you wish for, because your wish may be granted.